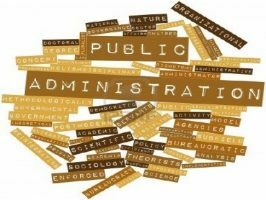 In a nutshell, public administration is simply defined as government in action. Local, state and federal government organizations are responsible for some level of service to American citizens. Yet, there have been several instances where words such as ineffective, inefficient and inaccurate have been used to describe public administration among all levels of government. On the surface, the definition seems straightforward. Yet, there are several elements within public administration that seems to make this field more complex and ever so challenging. For instance, there is a political context which makes this field public and different from private and business administration. In addition, this field of study includes other contexts such as legal and managerial. 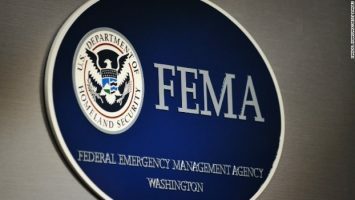 In the political context, public administration in action is the Housing and Urban Development proposal requesting additional funding, the Department of Family and Children services administering the food stamp and WIC program, the CIA agent working diligently to decode the captured messages of terrorists, and finally, FEMA assisting Hurricane Irma and Michael victims. In each of the above examples, government employees are performing tasks that affect the daily lives of all citizens. When we examine the legal context of public administration, we do so by reviewing public law. Public administration is the execution of public law, and public administrators must adhere the regulations and laws that the legislation allows their agency when drafting, implementing and executing public policies. But is this always the case? Unfortunately, this is not always the case. This could be due to the constant changes in regulations and the conflicting opinions and viewpoints of the various stakeholders. The chaos ultimately leads to citizens’ distrust in public and governmental organizations’ ability to perform and even an extensive amount of criticism over the past years. In addition to its political and legal contexts, public administration (the public’s business) would not get done without the managerial component. It is important to note that management refers no only to the individuals running an organization, but also to the organizational process itself. This includes the CEO making big decisions and outlining the organization’s mission, goals and values. Considering the three different contexts discussed above, defining and understanding public administration can be quite difficult. It is a concept that draws primarily from political science, law, and management. Nonetheless, with its many layers, there is bound to be several challenges. Lack of oversight and accountability leads to ineffective public administration. As a result, fraud, waste and abuse occurs. Therefore, it is imperative that public administration includes a reasonable amount of oversight and organizations must invest in adequate training for not only subordinates but also leadership. Doing so will ensure an equation of success which is quite simple: Effective public administration leads to favorable outcomes for all involved. Whether or not there is enough training, resources or accountability, public administration will be carried out daily. Instead of just “letting it happen” or keeping the attitude “this is how it has always been done,” it is time for organizations to perform continuous program evaluation, which allows leaders, managers and policy makers alike an opportunity to adequately review program successes and/or failures and implement meaningful solutions. The bottom line is simple. Organizations cannot become overly committed to existing policies and programs, because this poses great harm and impede the capacity to learn from experience and to improve government performance. If we look at our current economic and financial landscape, this is something we just cannot afford.